Brazilian Blowout / Kerastraight Keratin hair straightening treatment Singapore – Special Promotion! I have rather frizzy hair, which is made worse by the very humid weather here in Singapore. So I regularly go for a keratin straightening treatment to rid my hair of the frizz. Style by Louis was kind enough to provide me with a complimentary treatment this time. so I could document it for this blog and tell you a little bit more about it. 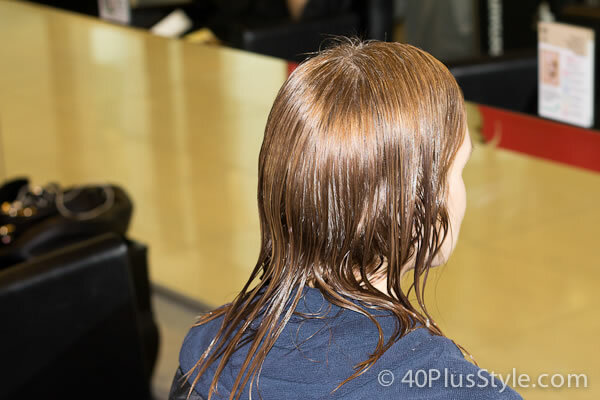 What is a keratin straightening treatment or Brazilian Blowout as it is popularly known? Keratin straighening is a special treatment that removes the frizz from your hair and makes it a lot straighter and softer. The straightening treatment is based on the hairs’ natural protein Keratin, and is not a permanent treatment. It will last for about 3-5 months. I have found the keratin straightening treatment to be very effective for my frizzy and unmanageable hair. I hardly ever have to use an iron straightener now and can just blowdry my hair and go. Although this treatment is commonly referred to as the brazilian blowout™, this is actually a brand name. Not every hair salon uses the Brazilian Blowout™ products, (even though they may advertise it as Brazilian Bloowout™) but use other keratin products that achieve the same effect. The keratin treatment I received today was Kerastraight. This seems to be a safe treatment for the hair as no harsh chemicals are used. I have found my hair to be softer and in an overall better condition afterwards. As opposed to the Japanese Straightening Perm the brazilian blowout™does not need to kill any hair and instead of growing out, the Brazilian method ensures that the hair fades out and this encourages fresh growth of hair. Feel like a star! It is claimed that celebrities like Halle Berry, Lindsay Lohan and Nicole Ritchie are all using it. There have been some reports (by Oregon) that the treatment can be toxic if it contains formaldehyde. Some people have reported some irritation to eyes, nose or throat. Brazilian Blowout™ and Keratraight report on their website that their products are now formaldehyde free and tests have concluded that the products are safe to use. Other products may still contain formaldehyde so it is advisable to check with your salon if the keratin products they use are free of formaldehyde. If you are advised to leave in the product, it will take a few days before you can wash your hair. The Brazilian blowout™ and Kerastraight anti-frizz hair straightening treatment takes about two and a half hours to complete. It is recommended that you use aftercare shampoo and conditioner products at home to prolong the effect of the treatment. 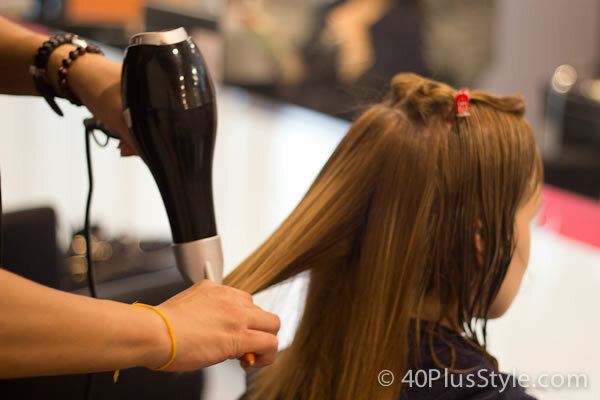 You can find the full range of the original Brazilian Blowout products by clicking on the products at the bottom of this article. If you live in Singapore, you can now take advantage of a fantastic promotion by Style by Louis. 40PlusStyle readers receive a massive $200 off your first treatment at their salon. Total treatment cost is either $400 or $450, depending on the length of your hair, so with this discount, total cost will only be $200 or $250. To take advantage os this offer, all you need to do fill out the form below and the voucher will be sent to you. Wishing you success with getting the hair you desire! Thanks for walking me through this process. I watched the Good Hair documentary by Chris Rock so was glad to see that the formaldehyde issue is being addressed. Are you one of those lucky women over 40 who doesn’t need to color your hair? I’d heard that straightening treatments weren’t recommended over hair coloring. Have you heard anything about this? You look fabulous! Your hair is so shiny and polished looking. I keep the natural wave in mine but wish I could get this level of shine. Thanks Suzanne! I actually desperately need to recolor as grey is coming through, but my colorist is on holiday. Sigh… Will just have to wear more hats for the time being. More on that tomorrow! Thanks Nithya! I have sent it to you. hi mufidah here. i am not in facebook or twitter. i hope i can get the voucher,for the brazilian blowout. thank you. No problem. I have just sent it to you! Sure! I have just sent it to you. Thanks Sabine. I have just sent it to you. Let me know how it went! Just emailed the coupon to you. Let me know how it was for you. Thank you for replying. Thank you in advance for the voucher! All the Best! It’s been sent to you. Good luck with your treatment! Just sent it to you. Good luck! Please many I have a voucher for the Keratin treatment . Sure. It’s in your mailbox! Hey there, would love one of those vouchers to sort out my unruly hair. Sent. Hope it works well for you! Thanks for effective info on kera straight. Loved how you looked.could you kindly send a voucher to me,can’t wait to have my hair look as good as yours. Thanks Jacki. I’ve sent the coupon to you. Hope you end up looking just as good! Hi! Could you please send the voucher my way as well? Good luck with this. Let me know how it was! I desesperately need a voucher to try this magic treatment. Sent to you Imane. Hope it will work its magic on you…. Please send me a voucher. 🙂 is this treatment formaldehyde free? I’ve sent it to you. I can’t say that with 100% certainty. The Kerastraight website says it is, but I don’t know if that information can be fully trusted. There are still reports circulating around the web that formaldehyde has been found in some of these treatments. You may also want to check with Style by Louis, and check that he is using the latest version of the product or a fomaldehyde free version. Sent it to you. Good luck! I’m dying to have that kind of hair. Could you please send me a voucher too? Thanks. Sent it to you! Hope you get the hair you want! Been trying all kinds of hair straightening treatments, this sounds and looks good! Can you send me a voucher please? Sent to you. Good luck. Can I please have a voucher? This looks like a great treatment and so much better on your hair then the others……. Sent to you. Let me know how it worked for you. It’s been sent. Good luck! Could you please send me the voucher? Sent to you. Good luck! Hi there, would u mind sending me a voucher too? Desperately need a hairchange 🙂 thx! It’s been sent to you. Hope you will get the change you need. I’ve had two such treatments done this year. Loved the first one that was done by a small unknown hair salon but decided not to go back there since I figured they used a product with formaldehyde. After some research, I went to Toni and Guy just a month back. The effect is not so good. I reckon it was an inexperienced technician who clipped my hair during the treatment that caused kinks| bumps in my hair. Are there some things one should look out for when the treatment is going on? 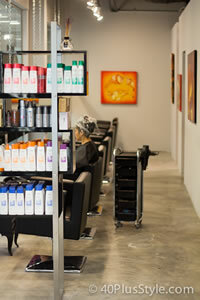 What product does your salon use? Am quite eager to try out your salon however will go there after a month. Hope the voucher will still be valid. Do send me one. Thanks for the wonderful writeup. Hi Lati, Wow, I have never heard you could get kinks in your hair from this treatment. I never experience anything like that before. This salon is using Kerastraight. I guess you would need to make sure that the product is applied to all of your hair, but I have never had any averse effects. For me it usually lasts about 4-5 months before I feel I need to go for another treatment, but that would vary depending on the kind of hair you have. Currently, the voucher is valid for 3 months after you receive it. Hope the treatment in this salon works for you! Ive heard about Kerastraight and Im really thinking of getting it done. My hair is very frizzy and damaged and having managable hair would definitely boost my confidence. I hope I can get the vouchers to get my hair done. I’m sure this can help! Sent to you. Hope it works for you! Your hair looks great. Now here’s to hoping they can help my frizzy (but I still love it and so am a bit nervous about this) subcontinental hair! Would be great if I could get a voucher please. Thanks! Sent to you. 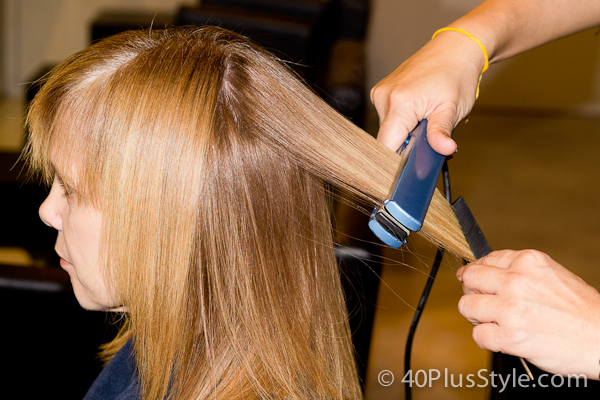 Your hair will definitely get straighter, so if that is not what you want you may reconsider. My experience has been that my hair is of better quality afterwards. Also the treatment generally eases out, so it’s not permanent. Good luck! Thanks Sylvia. Looking forward to getting the voucher. Hi Lati, I had already sent it to you. Have sent it again now. Please check your spam folder if you can’t see it. Hi Putri, Sorry to read about your troubles with your hair. I think this may be a good treatment for you even though it is not as strong as it used to be (with the formaldehyde). I have sent the discount voucher to you. Hope you have a wonderful birthday and that the treatment works for you! sent to you. Hope it works for you and your hair gets more manageable! Hi I’d really love the voucher, I’m desperate to try this treatment. It’s in your mailbox. Good luck! Hi! I filled out the subscription form but I didnt receive the coupon for the treatment. Is it still available? I would love to try this treatment! Just a question thought… does it make your hair incredibly straight but flat? Hi Jamine. Your email confirmation contains a link to the voucher, but I have now also sent it to you. Your hair will definitely get straighter and therefore flatter. However, it depends on your hair. My hair is pretty thin and therefore will be flatter but I would not suspect this happening with thicker hair. Also the treatment is less strong now that it contains no formaldehyde so the results are not that extreme. Hi Shirin, The link to the coupon is in your confirmation email in the text. Please check. If you still can’t find it, let me know. I’ve been battling with frizzy hair due to the excessive blow drying when I had a bob. I have been researching on the Brazilian blowout and am very keen to give it a shot, could you spare me a voucher please? Would be greatly appreciated!! I noticed that you found your way to get it. Indeed by filling in the subscribe form!. Good luck. Ok I have sent it to you now. Got an email but I’m still unable to get the voucher. Could I trouble you to email it to me instead? Thanks! It’s definitely been sent to you. Maybe it went to the spam folder? Hello! Would be most grateful for a voucher please! Away with the fizzies! Hi AK, you will need to fill in the subscribe form at right of the page. Once you have completed the subscription process you will find a link to the coupon in your final welcome email. Hi Sylvia, I can’t wait to try the Brazilian straightening! I didn’t receive the coupon in my confirmation email though. Could you send it to me? Hi Hasina, You will need to click on the “here” link in your confirmation email to download the coupon. Tks for the gr8 info 😉 I wana look and feel gd with nice manageable hair too. Sick of my lion’s mane. Pls send me any disc coupon for keratin treatment. Can’t wait to get my hair done. Hi Crystal. Just sign up for my newsletter (at right). Then click on the ‘here’ link on your final welcome email, when you’ve completed the subscription. I have bad hair:) Can I get a voucher? Sure. There is a link to the voucher in your final welcome email after you have completed the subscription process. I dislike rebonding treatment totally! Would love to try this treatment to make my hair look straightened and natural which is very important. I love straight and manageable hair! I hope it works well for you Aveline! Hi Priyanka. Please fill in the subscribe form at the right. The link to the voucher will be in your final welcome email when you complete the subscription process. It’s the “here” link in your final welcome email. Hi , May i know how do i get the vocher? Thanks ! Hi Evelyn. Just sign up for my newsletter at the right. The link to the voucher will be in the text of you final welcome email once you complete the subscription process. I have been enduring and is very eager to try out the keratin treatment soon. Wish to receive the promotion voucher to kick start my wish to get my hands on the experience to smooth straight hair again. Hi Sue, be sure to fill in the subscribe form at the right of the page. The link to your voucher will be in your final welcome email. Good luck! hi, would love to have the discount coupon for the brazilian blowout! thanks! Hi Yanling, you can fill in the subscribe form at the right. A link to the discount voucher will be in your final welcome email. Looking forward for the promotion voucher for the treatment from your end. Hi Preeti. Please subscribe to the newsletter (subscribe box is at the right). The link to your voucher will be in your final welcome email. Hi Tracy the link to the voucher was in your final welcome email. Good luck! Is this voucher still valid. The treatment looks great on you, I would love to try it too. Hi Priya, Yes, it’s still valid. Just subscribe with the subscribe form at top right and the link to the voucher will be in your welcome email. Hi Sylvia, I have sucessfully subscribed to ur website and am eager to try out the Brazilian blowout treatment. However when I click for the voucher in the email link it opens up a blank email. Is it possible to resend the email to me? Received the coupon Sylvia, thanks so much. Looking forward to getting the treatment done. Can I also have the vocher for Brazilian blowout?I also want to have a beautiful hair like you. Sure Anita. Just follow the instructions as described in the article above. Hi! My hair hates Singapore weather! Please help me to have my first “good hair day” in over a year with a coupon for a Brazilian Blowout! No problem! Just follow the instructions as described in the article and it will be on your way. Sure Reena, just follow the instructions in the article and it will be on your way in no time. It was really nice of you to share the voucher. i hope you can extend it also to me.. thinking of getting this treatment anytime soon as my hair is already getting unruly. Thank you in advance and all the best to you! By the way you look fab in your hair. Hi Irene, Just follow the instructions as listed above and you will have the voucher in no time. Thank you for the post! I have naturally curly hair and while I do want my hair to look less frizzy, I would still like it to retain it’s original texture. Do you have any idea if I will lose my curls upon getting the treatment, or will they just become more manageable? The treatment is not as strong as it once was, so I would think that you will not lose your curls and they will become more manageable. However, since I’m not a curly girl myself, I’m no expert with this. Best to talk to the salon directly and ask them for their opinion. Hi Anne, Just follow the instructions as outlined above and you will get the voucher through email. Would like to try it. Is the voucher still available? Thanks! Hi SD, yes it is. Just follow the instructions as described in the article and you will be able to download it. I’m SOOOO thankful that I stumbled across your website! Am relocating to Singapore and was panicking that I would have to use the formaldehyde product (now use Coppola brand of Keratin smoothing treatment and love it)! Hi Catie, you are very welcome! I’ve been reading around about brazillian blowout treatments, been doing the usual rebonding all this while n have no choice but to give in to the setbacks of losing all the curls. Looks like with the blowout i can keep some of my waves?? Tht gets me really excited! Thanks for your review .. Gonna check style by louis out.. Can i get the voucher? Good luck Anusyia! To get your voucher just follow the instructions as described in the article above. can u sent me a coupon? Hi cicilia. Just follow the instructions as described in article. A colleague has recommended the Keratin hair straightening treatment so I am very interested in the special promotion! I am 40+ and have the same issues with frizziness that your model above does. Oh for that to be a thing of the past! Can’t wait for details on how to try it! Good luck Chris. The treatment is not as strong as it used to be so completely getting rid of the frizz may be hard, but it certainly helps. Just try it out and see if it works for you! Hi, i have been reading alot on brazillian blowout treatments, and was finding a where could i try this out in Singapore. glad that i found this website. i really want to try it out. i have subscribed to be part of the mailing list. wondering, am i still entitled for the $200 first time try for the brazillian blowout treatment? or is the promotion over? No it’s not over so good luck with your treatment! Hi Priya. The easiest way to get the email again is to subscribe again with a different email address. Great Bharti. Just follow the instructions in the article to get your voucher! Pls send me the voucher the Brazilian Blowout as would like my daughter who has frizzy hair to do it. thanks! May be is too late for me? Can i have a voucher pleaseeeeeeee i am a deseperate french mummy whith hair dammaged. It’s not too late but just follow instructions as outlined in the article. Hey, this looks great – style by louis’ just been recommended by a friend. She really rated your blog and the results of the blow dry. I’m looking forward to trying it for myself. Good luck Meme. Be sure to follow the instructions to get your coupon! This article is great! Will try the treatment this month! I have been wanting to try this out on my hair for so long! Thank you for your entry and I hope im not too late with the coupon? No it’s still valid. Hope it works well for you! Thanks for this article and great offer! I’d love a voucher if this deal is still running. Your write-up seems great. Would love to try this treatment. Can you please send me a voucher. Hi Marj, The link to your voucher is in your final welcome email. Please check the spam folder if you did not receive it. Good luck! I need sleek and easy to manage hair! I am lazy and not so good with smoothening my hair out with the hairdryer every morning. Although I love my curls (more wavy than very curly though), my curls stopped being cute when I started getting a little older (and the curls/waves just seemed to grow too wild). My hair is frizzy so I always end up tying my hair in a boring ponytail. I recently colored my hair and I know that rebonding (even soft rebonding) seem to dry my hair out quite badly! Hi Alda, Just subscribe as per instructions in article to get your voucher. Good luck! can i also have a voucher i like the sound of this treatment..?! Hi Freda, Just follow the instructions as outlined in the article and you will receive the link to the voucher. please send a voucher for Louis. Thanks! I’m not sure Michele. The longest I have left it was 3 days, but after that you really want to wash it out. You should check with the salon what’s possible. I just received a voucher. However, is the promotion still valid? I went to have my treatment done about 1 month ago at Style by louis with the stylist Yoko. It’s been nearly 1 month and I can already tell the treatment is fading out. This will not give you stick straight results (which isn’t what I wanted) but it will get rid of frizz and make your hair look healthier. There WILL be fumes as well, but it didn’t smell terrible. I just wish it would last a little longer because if it did cost $400 it would be CRAZY for it to only last 1 month. I’m a little suspicious as to whether or not they used the actual product, since I never saw the bottle. He kept going to the room to get more product. I also noticed that on the Kerastraight website they are not listed as an OFFICIAL salon. How long did your treatment actually last? The treatments are not as strong as they once were and I also find them less effective now. Can’t really remember how long exactly the whole treatment lasts. Perhaps 2 hours? I’m thinking of making an appointment to get this done. Were you almost 100 percent frizz free after the treatment? It’s not as strong as it used to be so 100% frizz free only lasts a short time. I want to get the treatment done, my hair is a little bit longer than shoulder length and it is quite wavy and incredibly frizzy (except a few mercifully good days haha). I have never had an issue with hair falling out. However, the treatment is not so strong anymore that you will get very straight hair, although this differs for every person. You may want to give it a try and see how it goes. Is it possible to still get the voucher? I would like to add that this keratin treatment service offered by louis and co is not the Brazilian Blowout. The Brazilian blowout is a specific brand of keratin treatment. I am keen to try this treatment? Is the voucher still valid? Is the coupon still available I am new to Singapore? Hi, I’d really love to have this voucher, my hair is absolutely horrendous because of this weather. Is the voucher still valid? Please advice what would be the charges for keratin treatment and it it available tomorrow or coming Saturday?? Please contact Style by Louis directly for that info. Is the promo is ongoing?